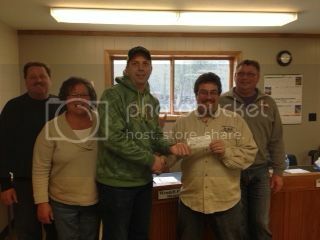 Yesterday I had the pleasure of presenting a trail maintenance donation to the River Road Riders Snowmobile Club. 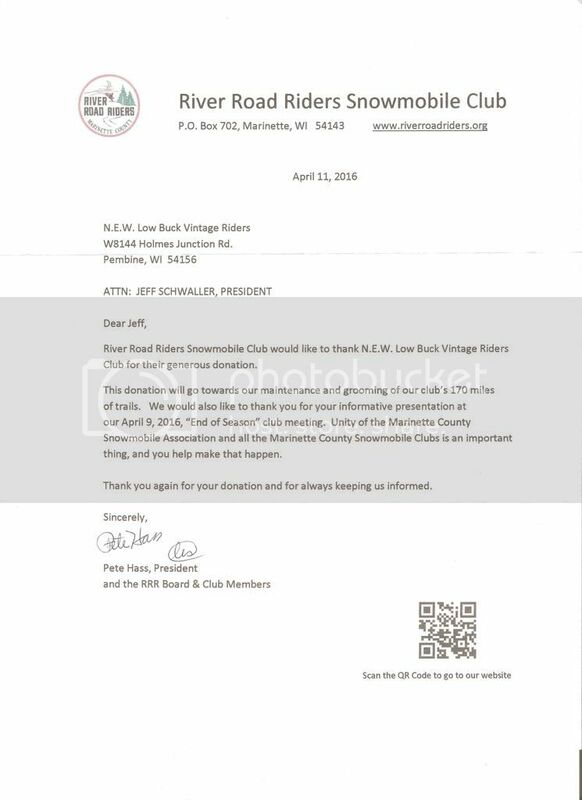 We donate to two clubs each year in Marinette County as a token of our appreciation for the work they do on their trail system. Way to go Ida-Hoe. It's great that we can get some cash out to the clubs with trails. keep up the good works! Our second trail maintenance donation this year went to the Kumalong Sno-Riders. Club secretary Gene Thomas, treasurer Sue VanDeWalle and president Mary Rosner accepts the check from NEWLBVR president Jeff Schwaller. 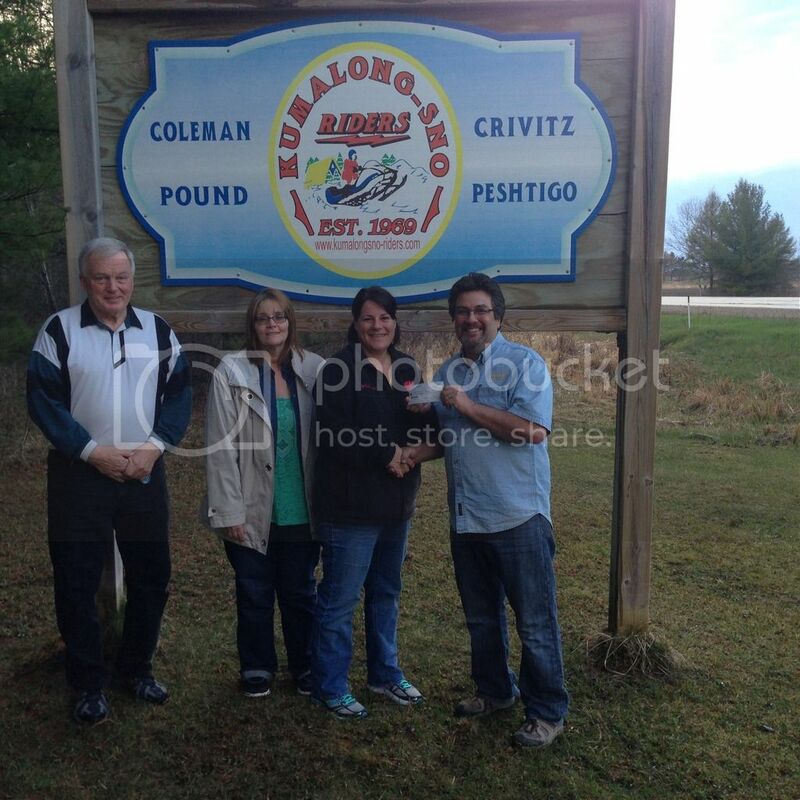 This is our way of expressing how grateful we are to the Marinette County clubs (such as Kumalong) for their excellent trails.